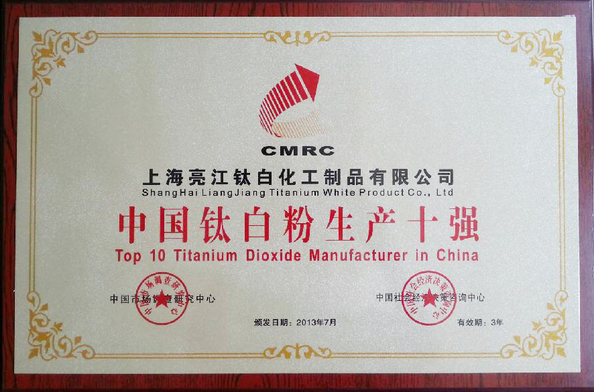 Liangjiang Brand- Titanium dioxide( Nano grade), special production process, the use of unique photocatalytic technology has strong decomposition of toxic gas in the air to eliminate.To formaldehyde, toluene, xylene, ammonia, TVOC and other harmful gases have the function of decomposition and elimination, make indoor air more pure and fresh, avoid the pollution caused by a harm to human body, by coating company add nano TiO2 production of the product, the degradation of 24 hours, according to the results of tests for kill all kinds of mold inhibitory rate above 99%, 24 hours to harmful organic matter degradation rate above 80%, and has a long mildew algae prevention effect.And the service life of the product for more than 15 years. Product can be coated on the base material surface, added inner the base material or coating indoors, can achieve good air purifying effects.Under visible light, the product absorb the moisture in the air, to generate the strong ability of oxidation of hydrogen and oxygen free radical (· OH) and active oxygen (O2), can effectively adsorb and degradate the toxic or harmful gases in the air, and kill several kinds of bacteria. 1. Polygon crystal, higher photocatalytic activity. 2. Excellent dispersion, transmission electron microscopy (sem) images do not produce clusters. (1) : clean air: a strong oxidation decomposition for formaldehyde, ammonia, benzene, toluene, xylene, CS2, chloroform, trichloroethylene, chlorobenzene and other organic matter from automotive interior decoration materials and others, reaction generated into CO2 and H2O.For atmospheric pollutants CO, SO2, NO, hydrocarbons can be efficiently removed, so as to eliminate pollution.In addition, the product can release oxygen anion, provide a truly green environment for people living. (2) sterilization and disinfection: potent decomposition for the bacteria and viruses indoors, such as common escherichia coli, staphylococcus aureus yellow. And at the same time of sterilization, the light body of catalyst can also be decomposed by bacteria on the release of harmful compounds, to eliminate cleaning. (3) the self-cleaning and anti-fouling: because the product coating has high hydrophilicity, can be formed anti-fog in the surface, and because of its strong oxidation, oxidation off its surface oil pollution, it can form the self-cleaning coating, spraying on the surface, so that the coating will remain fresh forever. Products have strong absorption to uv light feature, cause the coating from ultraviolet aging effect, can significantly extend the service life of the coating surface. 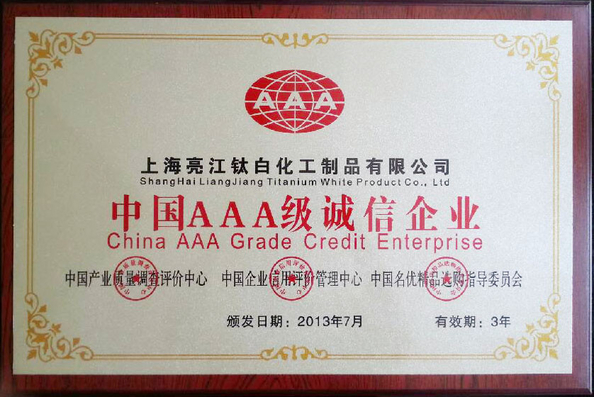 According to the crystal appearance , Titanium dioxide rutile nano grade and Titanium dioxide anatase nano grade. According to its surface features: hydrophilic titanium dioxide nano grade and oily nanometer titanium dioxide nano grade. 2. Titanium dioxide nano grade, non-toxic, strong Photocatalytic effect, Shielding ultraviolet ability and excellent transparency, widely used in cosmetics, sun protection, and other products as a new material. 3. 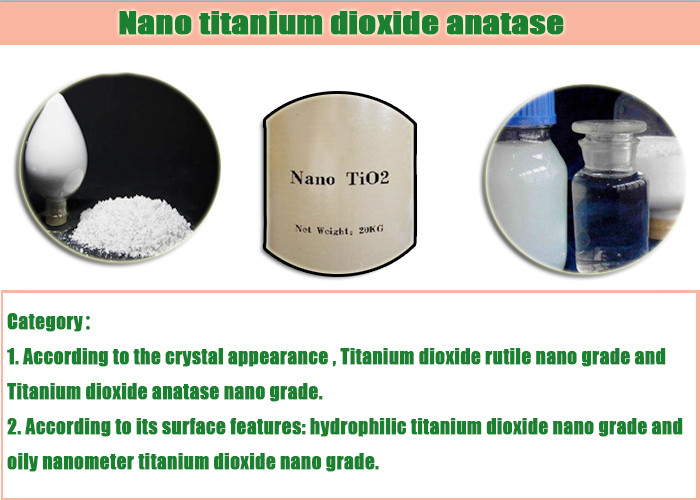 Titanium dioxide nano garde, used in plastics, rubbers and functional fiber products, it can improve the anti-aging ability of product, pulverization resistance, weather resistance and the strength of the product, at the same time, to maintain the color and luster of the product, extend the product use time! 5. oily nanometer titanium dioxide nano grade, Well dispersed in the organic solvent and plastic resin. 6. Titanium dioxide nano grade, used in making papers industry, Can improve the Printability and impermeability. 7. Also used in Metallurgy and the aerospace industry.